Earlier this year, in January, a dear friend was diagnosed with Ovarian Cancer after experiencing extreme abdominal pain while on holiday with her family. It came as a HUGE shock to us all as she was always appeared so healthy. This got me to thinking, what do they do to test for it? A Pap smear does not detect ovarian cancer. There is currently NO RELIABLE screening test. Women must listen to their bodies for the whisper of ovarian cancer. 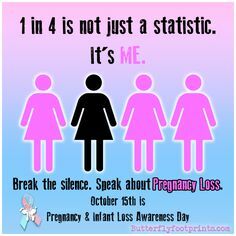 Early detection increases the survival rate significantly. Being educated about the early symptoms is of utmost importance. If you experience bloating, pressure, or pain in the abdomen or pelvis that lasts for more than a few weeks you should see a doctor immediately. Ovarian cancer is when abnormal cells in the ovary begin to multiply out of control and form a tumor. If left untreated, the tumor can spread to other parts of the body. This is called metastatic ovarian cancer. The ovaries are two female reproductive glands that produce ova, or eggs. They also produce the female hormones estrogen and progesterone. More than 22,000 women will receive an ovarian cancer diagnosis in 2017, and 14,000 women will die from it. * Stromal tumors grow in the hormone-producing cells. Seven percent of ovarian cancers are stromal tumors. * Germ cell tumors develop in the egg-producing cells. Germ cell tumors are rare. This is usually the first step. It’s done to take out a piece of the mass to see if it’s cancer. Doctors call this a biopsy. Surgery helps “stage” the cancer to see how far it has spread. Once cancer is confirmed, your surgeon will take out as much of the tumor as possible. How much surgery you have depends on how far the cancer has spread. In some cases, the ovaries, uterus, cervix, or fallopian tubes may need to be removed. Other tissue typically removed includes lymph nodes, the omentum (fatty apron covering the intestines) and all visible cancer. If your surgery is in the very early stages or you want to have children, your doctor may not remove all your reproductive organs. You may need chemo to get rid of any cancer cells that are still in your body after surgery. You usually receive these powerful medications through an IV. But sometimes they work better for ovarian cancer if they’re injected into your abdomen. This lets the medicine come into direct contact with the part of your body where the cancer was and is most likely to spread. These high-energy X-rays can help kill any cancer cells that are left over in the pelvic area. Radiation is given to you just like a regular X-ray. It can be used if cancer has come back after treatment or to help control symptoms like pain. These treatments use newer medications that find and attack cancer cells while doing little damage to surrounding normal cells. These meds all work in different ways, but they’re able to stop cancer cells from growing, dividing, or fixing themselves. The medications are either taken by mouth or given by IV. In some cases, your doctor might suggest using hormones or hormone-blocking medications. According to the American Cancer Society, this therapy is most often used to treat ovarian stromal tumors, not epithelial ovarian cancer. Doctors are always conducting studies to take a closer look at new treatments and procedures. By taking part in these trials, you can get access to current state-of-the-art treatments. But they may not be right for everyone. Ask your doctor how you can find out more and if a clinical trial might be right for you. This entry was posted in Body, Health, Ovarian Cancer.